Shortly after we adopted Isaiah, word got out that we're good people who love kids, and we were approached by other birth moms who wanted to secure a safe and loving home to place their child in. We decided early on that we would never say no to a baby who needed a home, so we told the birth moms that we were interested. Ultimately they all decided to not place their child with us, and instead made the decision to parent. Lately, we've gotten a lot of questions about when Isaiah will get to be a big brother. The answer is always the same. We aren't pursuing another adoption right now, but our file is always current, and we will welcome any child who needs us. So in keeping with our word, we recently accepted a foster care placement of an infant boy. You know how I love to share photos of Isaiah, so I hope you can understand this. I won't be sharing photos of the newest member of our family. While he's in our home, he is our family, but the fact remains that legally he isn't, so I won't be posting about him specifically. This does not mean that he means any less to us than Isaiah. This means that we're protecting him, and respecting him and the court system by not discussing his case outside of the legal system. While he is in our home, he will be treated the same as Isaiah.We aren't treating his case as anything other than what it is. He is welcome in our home as long as he is placed here, no matter the length of time. Fostering isn't something we were planning to do, or actively pursuing. We have discussed it previously as something we might do in the future, but hadn't had a plan or even an idea of when we would. When we were made aware of the situation, we knew we had to do something. My brothers came to my parents originally through the foster care system, so we knew what to expect, and had a general idea of what we would encounter. It isn't easy, it isn't always fun, but it is always worth it. So that's where we are now. We're currently a family of four, and he is a very happy little boy. I think there's a very special place for people who open their homes to foster. Blessings to you all and that sweet boy. I completely respect and admire your actions to protect his privacy. Thank you. 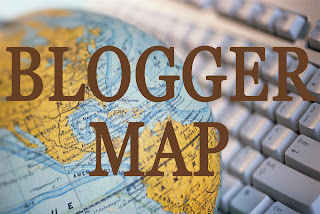 I am beginning to approach blogging differently. Even with Isaiah I am starting to wish I hadn't said so much publicly, because really, it's his story to tell. Hi, long lost friend! I hope everything works out as it should for that sweet boy. =) Hope all is well! Hi, friend. Thank you so much. I hope to talk to you soon. Awww that is amazing!! Although I hate I won't be seeing your precious new addition, I understand (but I am still not happy about it). Good luck friend! !